The first step is to make sure that you have all of the necessary plugins required for this to work. Here is the list of recommended plugins. 1. 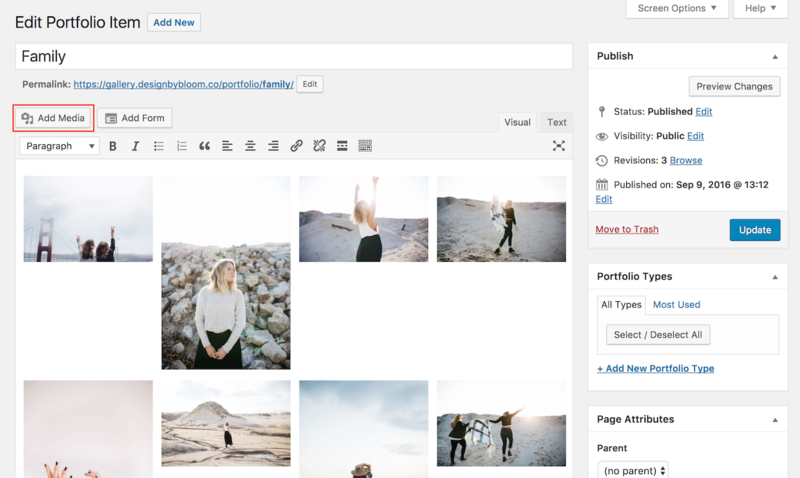 Create a new portfolio item from the side navigation in your WordPress Dashboard. 2. 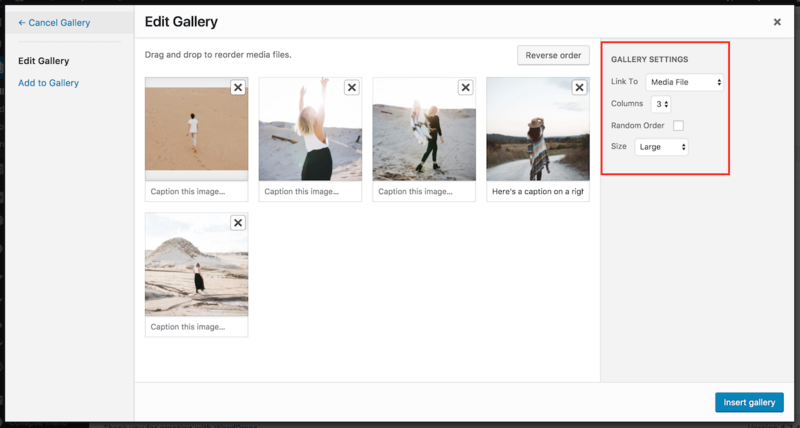 Assuming you have images that are available for your galleries, you can click "add media". 3. Next, click "create gallery" and select the images that you want in your gallery. You may also upload images at this time if you need to. 4. 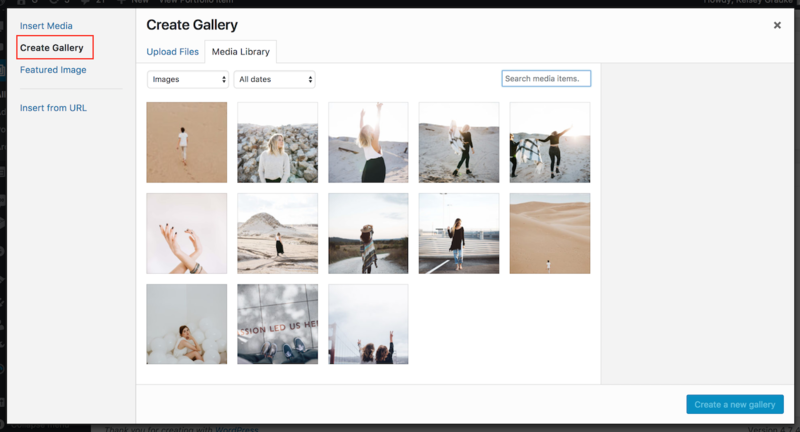 Click "Create a new gallery" and configure the settings like you want. 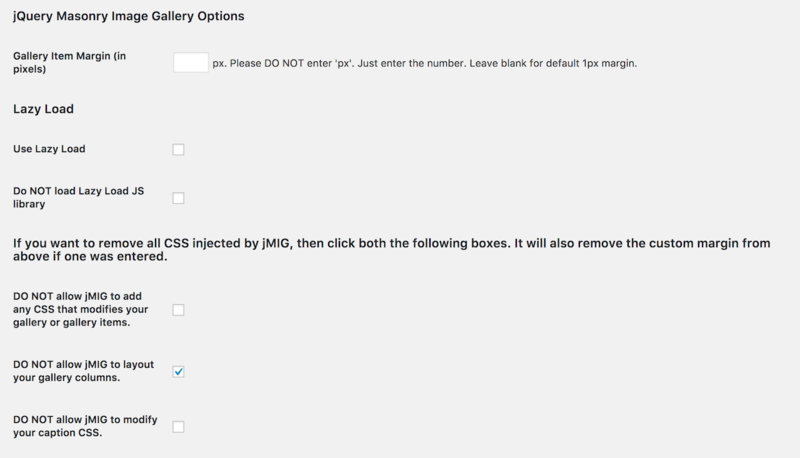 If you want the images to open in a lightbox, you must select the "media file" as the link option. From there you can set the columns, random order, and size. 1. 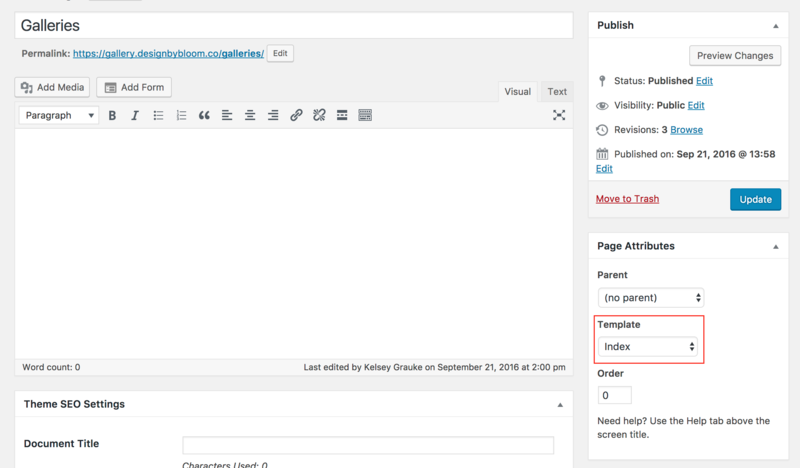 Create a new page and set the page template to "index". 2. 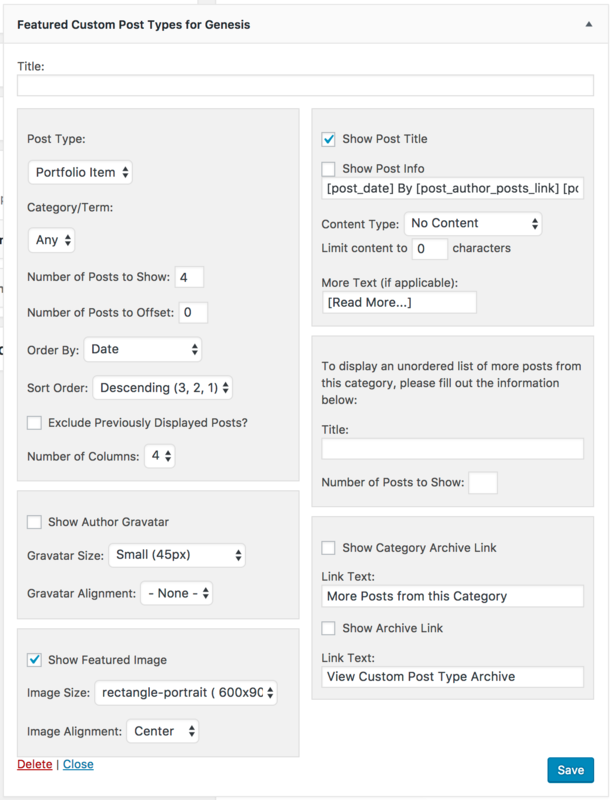 Go to appearance > Widgets and add the Featured Custom Post Types for Genesis widget to the "index page" widget area.